What is the uncertainty for? To ensure your survival, your brain evolved to avoid one thing: uncertainty. As neuroscientist Beau Lotto (the author Deviate: The Science of Seeing Differently) points out, if your ancestors wondered for too long whether that noise was a predator or not, you wouldn’t be here right now. Our brains are geared to make fast assumptions, and questioning them in many cases quite literally equates to death. No wonder we’re so hardwired for confirmation bias. No wonder we’d rather stick to the status quo than risk the uncertainty of a better political model, a fairer financial system, or a healthier relationship pattern. But here’s the catch: as our brains evolved toward certainty (left brain dominance), we simultaneously evolved away from creativity (right brain dominance) — that’s no coincidence; creativity starts with a question, with uncertainty, with conflict or problem, not with a cut and dried answer. To be creative, we have to unlearn millions of years of evolution. Creativity asks us to do that which is hardest: to question our assumptions, to doubt what we believe to be true. Creativity and play is the only way to see differently. Play can be seen as a simulated conflict or problem. Conflicts emerge and create fractal boundaries that can escalate into chaos, separation and uncertainty. And if you think creativity is a chaotic and wild force, think again, says Beau Lotto. It just looks that way from the outside. The brain cannot make great leaps; it can only move linearly through mental possibilities. When a creative person forges a connection between two things that are, to your mind, so far apart, that’s a case of high-level logic. They have moved through steps that are invisible to you, perhaps because they are more open-minded and well-practised in questioning their assumptions. Creativity and play, it seems, is another (highly sophisticated) form of logic and it requires courage to experiment in the realm of an unknown and stay at the fractal boundaries between uncertainty, order and chaos. Astrology and divination give people a false sense of certainty as if there was some kind of transcendental guarantee of a certain, pre-existing future that can be read. Some people are just lazy or not courageous enough to think for themselves and create the life they want. They rather assume that there is a future already set by some kind of destiny or fate which can’t be changed and they live their lives on automatic, mindlessly, hoping. Even, if there was a set future that could be read is some way, then by definition, it couldn’t be changed. Quantum theory suggests that the future is not determined and there are many possible futures for us, and it’s up to us to actualise them. 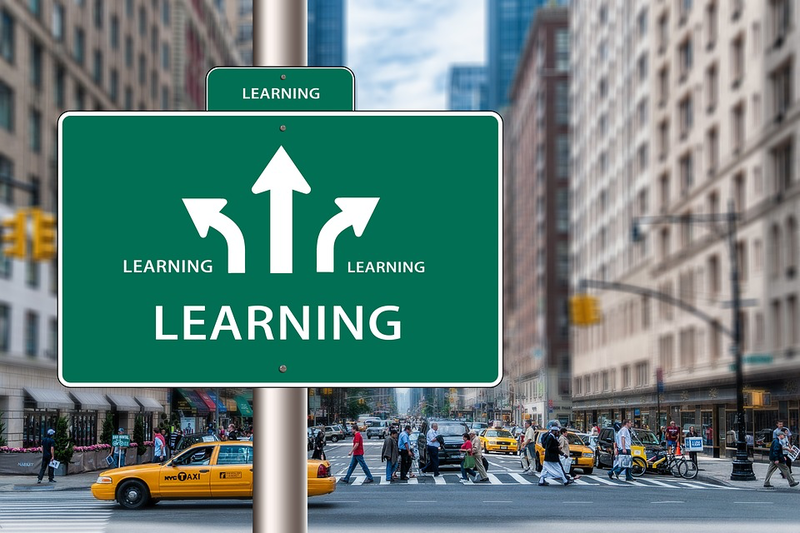 People want stability in personal and professional lives, but a Yale University study on cognition suggests that uncertainty boosts learning and we can benefit from volatility and instability. “Perhaps the most important insight from our study is that the function of the brain, as well as the nature of learning, is not ‘fixed’ but adapts according to the stability of the environment,” says Yale medical school professor of neuroscience, psychiatry and psychology Daeyeol Lee tells Quartz. What it means is that when life is predictable, our brains don’t need to do much, but when there is a change, our brains work harder. So, be brave and seek out new conditions to stimulate your brain activity and learn more and experiment more. “When you enter a more novel and volatile environment, this might enhance the tendency for the brain to absorb more information,” professor suggests. How is it possible to predict the future? Time is a concept or construct which we measure with clocks and calendars. It suggests that time flows in one direction, ie forward and our everyday experience makes us seem to believe that past events cause future events (a phenomenon known as causality) — the cause always precedes the effect. Quantum physicists, though, believe there is good evidence that, if causality exists at all, future events can cause things in the present and past and some quantum experiments proved that it’s possible to reverse the arrow of time. Is superstition is a way of mediating the future? Many people are superstitious. They think that doing something ritualistic they can affect, control or influence future outcomes. Also, it makes them feel less insecure and satisfies their inner need for stability and control. For example, in feng shui, many people believe that closing the toilet lid prevents any financial loss – meaning that they don’t flush the money (chi/energy) down the toilet. What it means, though, is that they believe that the toilet lid controls their finances, which is nonsense. If only they could ask themselves a simple question: Who is in charge of my finances? Me or a toilet? They would snap out of this superstition and delusion and hopefully stop creating false problems for themselves in the first place. (I completely understand that some people like to close the toilet lid for aesthetic reasons – that’s a different matter.) Another example, people are worried that when they get a new wallet or purse, throwing away the old one can affect their money matters and career. Again, they give away their personal power (and common sense) to a material object. They think that external physical things or resources have power over their inner resources. It’s not the lack of resources that is the root of problems – it’s the lack of resourcefulness that is the problem. Originally, astrology was an attempt to understand and make sense of the world and help to navigate it by estimating future possibilities. It was also an attempt at the typology of humans. Fitting people into categories has taxed astrologers, philosophers, psychologists and typologists for millennia. 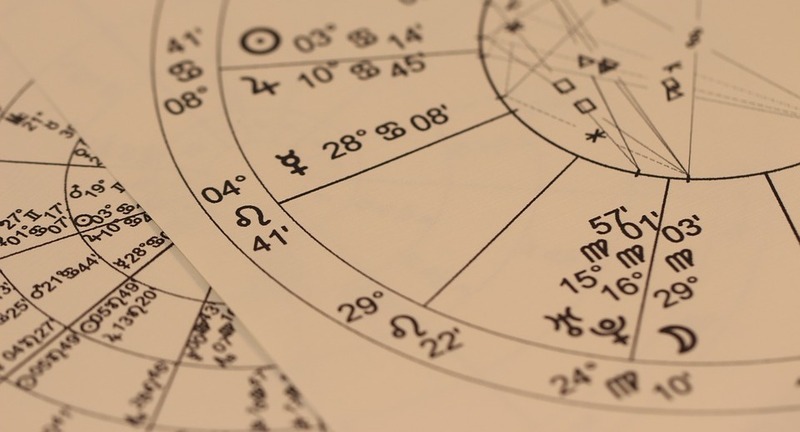 Different types of astrology, from western to eastern, as well as different types of personality tests, are examples of ancient and modern inability to deal with the complexity of life and the reductional drive for defining the human self. Unfortunately, astrology and especially horoscopes become an aid for the superstitious and an ill-conceived attempt to flatten the human personality, making it readable and predictable. The appeal of astrology and horoscopes is also linked to the narcissistic need of self-discovery and self-acceptance as well as a need for community and belonging, ie imagining that there are others out there like you. There is no scientific evidence, that personality is fixed at birth, nor it is fixed over days and weeks. Psychology shows that our personalities and behaviours change and are dependent on the context. Is astrology an evidence-based system? From a scientific (objective) perspective, no – astrology is not an evidence-based system. From the first person (subjective) perspective, some people believe it works, and probably it does for them – because of the confirmation bias and self-fulfilling prophecy (placebo). Researchers haven’t found enough evidence to confirm that astrology works. For example, people wondered for ages that if something as big as the moon can affect sea and tides, it must be doing something to our bodies as well since we’re mostly made of water. There have been beliefs circulating about the effect of the moon on prisoners and mental patients as well as a traditional belief for planting by the moon or lunar cycle calendar. In one study, Swiss mycologists looked at 1715 records of five long-term mushroom plots (1990-2007) and found no relationship between lunar periodicity and mushroom yields. There is also a popular belief that lunar phases have an effect on the timing of childbirth, so several different research groups in Austria, the US, Germany and other countries looked at the data and found nothing significant (not even on the conception, gender, nor an emergency caesarian section). German researchers pointed out that assigning a birth to a specific phase of the moon was unreliable because of the classic phases of the moon, i.e. new moon, full moon, waning crescent moon weren’t the same length and some early studies found more births during the full moon because that phase was simply longer. Even in animals (sheep) births, researchers in Spain couldn’t find anything significant about the timing. Lots of other research looked into the effect of the moon on epileptic seizures in humans, dogs and cats, psychiatric hospital admissions, emergency hospital admissions in humans and pets, dog bites, heart attacks, surgical complications and violent crimes and found no correlation. In one study in London’s police stations found that there was only more reporting of crime during the full moon but no actual increase in crime as such, probably because the nights might have been brighter during the full moon and people could notice more. Some feng shui astrological or energetic systems such as BaZi or 9-star ki are only theoretical or conceptual and not even based on anything factual or applied as celestial bodies so they can’t be studied or measured in any logical or sensible way. So, why do people still believe in the power of astrology, despite evidence to the contrary? “Because it gives comfort and they do not trust or understand science.” suggests Stephen Hawking. How to think creatively about astrology and divination? Humans need certainty, reassurance and personal protection. All societies seek ways and symbols for security, comfort and community as well as shared belonging whether there are religious icons, or astrology or even secular semiotic symbols or protectors or icons such late Princess Diana, for example. But if you’ve been hacked or brainwashed by superstitions or divination systems such as astrology – is there a way to use it creatively? Darby Costello, a well-respected astrologer, author and researcher suggests thinking about astrology as a story or metaphor that may give you some clarity or insights about your life and how to navigate it. It’s about storytelling and narrative rather than predicting the future. Another way is to think about astrology as a way of simulating and scanning the future realities and scenarios. As long as you can tell the difference between fiction and reality, you won’t become a victim of superstitions and false beliefs. Yuval Noah Harari in his 21 Lessons for the 21st Century exposes some of the classic stories and myths that people have been propagating for the past 2000 years. Superstition is a false problem. What to do about it? The problem with superstition is that once you’ve primed yourself with a negative belief or false problem, it’s difficult to get it out of your mind and your magic or mythic thinking (read below). It’s a classic example of nocebo (negative thinking and expectation) versus placebo (positive thinking and expectation). For survival reasons, negative or fatalistic thinking is more charged because life is at stake. I’m often asked what to do when one is being brainwashed with superstition or false problems. Firstly, recognise it as such – it is a false problem. Secondly, transcend and shift to a higher level of thinking, ie logical, rational, common sense, scientific etc. Thirdly, recognise and choose a healthy power dynamic, ie mind over matter – little trinkets don’t have power over you. EFT (emotional freedom technique)/tapping is another way of deleting unwanted beliefs, thoughts and behaviours. Of course, we live in physical reality, and certain things influence us, ie air pollution, weather, water quality, electro-smog, geopathic stress, etc. but if you remember that you are resourceful and creative you’ll find ways to mitigate and moderate those unhealthy influences. Human history is full of accounts of people who overcome the most adverse circumstances and illnesses. 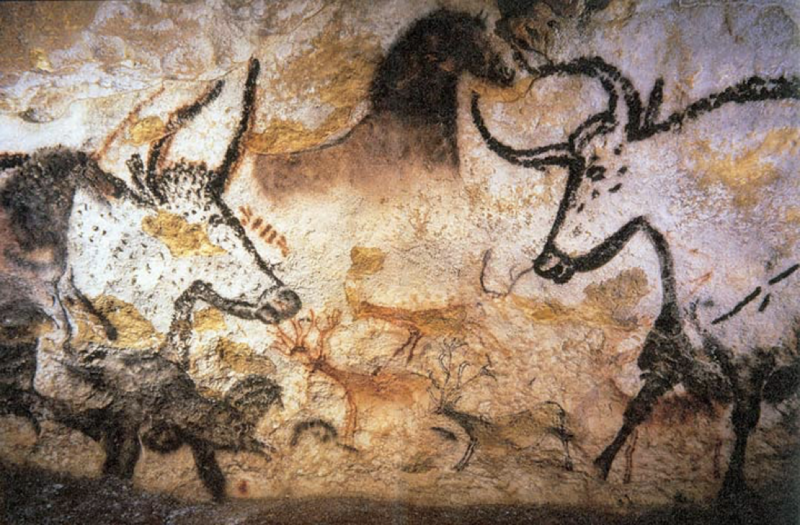 Lascaux Cave paintings (Montignac, Dordogne, southwestern France) Magic rituals were performed to improve future hunting endeavours. Why do people subscribe to false beliefs and superstitions in the first place? What is a belief? A belief is a perception of how things work. Hundreds of years ago, people didn’t know how basic things work, so they speculated and imagined all kinds of explanations. Also, they mixed up all kinds of assumptions and erroneous thinking – pure chance, correlation and causation. For example, a sixteenth-century peasant walks down the road, and a black cat crosses his path. He doesn’t think too much about it. But the next day, he has some bad luck, he gets ill or loses his chicken, etc. Naturally, he wants to know why suddenly he had such bad luck, what might have caused it so he can prevent bad luck in the future. He remembers the black pussycat crossing his path. Because this is the only explanation, he can conjure that the black cat and bad luck happened in a short period he gives himself and the rest of the humanity (by spreading this meme) – a false problem and a widespread superstition. Not long ago, humanity believed that the Earth was flat and was the centre of the Universe. Children (conveniently) believe in Santa. As the REM sings: “if you believe they put a man on the moon”. In one study, pigeons learnt to repeat whatever random action they’ve been doing the previous day, just before food was given, for example, spinning round three times and the action the pigeons seemed to believe had caused the food to appear. Humans are similar, they attribute false causation to random events, in a desperate need to control the outcome. Human development goes through various stages of development from archaic to magic to mythic to rational to pluralistic and so on. Each stage produces specific perceptions and beliefs. For example, the magic/mythic stage produced Santa Claus, Zeus, Apollo, Jehovah, unicorns, some aspects of feng shui, and so on. These concepts are real at that level of reality or narcissistic thinking, and there is nothing wrong with that kind of thinking at that stage unless when you start thinking and believing that is the ultimate truth. Humanity has been at that level for thousands of years producing those phenomena and worshipping those concepts. Magic depends primarily on where ‘miracle’ power is located. In magic, the capacity to perform miracles resides (‘magically’) in the self. For example, magic rituals were performed to improve future hunting endeavours. • I do a rain dance, and it forces nature to rain. • My father died, and I just recently wished him dead, then I caused his death. • In Voodoo, I stick a pin in an image of the real person; the real person is hurt. • In feng shui, if I close the toilet lid, this prevents financial losses. Historically, by the time the mythic stage of human development began to emerge, humankind had begun to understand that it couldn’t perform magic – but supernatural, transcendental, mythic Beings could, i.e. God, Goddess, Spirit, Deity, chi, stars. The mythic thinking works like this: “if only I could find the correct ritual, or right prayer, or workable action at the right time which would please Spirits/qi/stars and have it magically intervene in history on my behalf, to make the crops grow, or make the rainfall, or ensure the day’s hunt, to get me a good job or partner or make sure my finances are good.” In feng shui, how to approach ‘power gods’ and do appropriate rituals to get things is the core business. • In feng shui, hanging a picture of Ganesh will prevent bad luck. • If the graves of my ancestors have good feng shui, good fortune will follow. Do you want to predict the future? Dopamine will help. So you want to know the future. Most people are already prognostications and can predict the future – you don’t have to be psychic. We make predictions all the time — when the train will arrive, who is knocking on the door, whether the dropped glass will break and what kind of weather most likely will happen tomorrow. Learning predicting the future is based on past experiences and anticipating future outcomes. Research on dopamine and learning shows that every time we try to predict something (even something as mundane as the weather) dopamine levels are boosted. In short, dopamine helps to compute the difference between the actual and expected reward value and that comparison lies at the heart of learning and prediction. For example, I predict that eating half a bar of an organic, dark Green&Black’s chocolate will lead to temporary bliss. I can predict that eating two or three bars of chocolate will lead to being a bit sick. We learn from experience how to predict the future because our brains are full of predictive associations from the past and imaginary future. When the unexpected good or bad events happen, we learn what events or cues predict or lead to those outcomes – dopamine moderates this learning and the successful prediction rate. “Successful predictions are associated with the subjective experience of a smooth stream of consciousness. But a few times a minute, our predictions come out wrong and then we perceive a break in the stream of consciousness, accompanied by an uptick in activity of primitive parts of the brain involved with the MDS (mid-brain dopamine system) that regulate attention and adaptation to unpredicted changes.” says Jeffrey M. Zacks, PhD, WUSTL associate professor of psychology in Arts & Sciences and lead author of a paper on the study in the Journal of Cognitive Neuroscience. Perhaps, the most important lesson from astrology is that nothing is permanent and specific future is impossible to predict.